This post tries to debunk some popular, but misguided, views on demographic trends in today’s Russia. These consist of the perception that Russia is in a demographic “death spiral” that dooms it to national decline (Biden, Eberstadt, NIC, CIA, Stratfor, etc). Some extreme pessimists even predict that ethnic Russians – ravaged by AIDS, infertility and alcoholism – will die out as an ethnicity, displaced by Islamist hordes and Chinese settlers (Steyn, Collard). Think again. While it is true that Russia’s current demographic situation is nothing to write home about, most of the demographic trends that matter are highly positive – and there is compelling evidence that Russia can still return to a healthy, longterm pattern of sustainable population replacement. MYTH: Russia is losing 750,000 of its population per year and will become depopulated within decades. 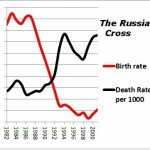 REALITY: In 1992, for the first time since the Great Patriotic War, deaths exceeded births in Russia, forming the so-called “Russian Cross”. Since then the population fell from 149mn to 142mn souls. However, the rate of depopulation has slowed massively in recent years. As of 2008, there were 362,000 more deaths than births in Russia, down from 847,000 in 2005. Furthermore, adding in migration would give a total population loss of just 105,000 people in 2008, equivalent to -0.07% of the population, which is a massive improvement from the 721,000 fall in 2005. The situation continued improving in 2009, despite the economic crisis, with Russia seeing positive natural increase in August and September for the first time in 15 years. [Source: Rosstat; analyzed & published by Sergey Slobodyan @ Da Russophile]. Though this is still far from demographic salubrity, the situation today more resembles the stagnation seen in Central Europe than the catastrophic collapse of athe transition era, and the trends remain positive. As such, pessimistic predictions of imminent demographic apocalypse are becoming increasingly untenable. MYTH: Granted, Russia’s crude birth rates have risen in recent years. But this was all due to the big size of the 1980’s female cohort, which reached childbearing age in the 2000’s; since the 1990’s cohort is about 40% smaller, birth rates will tumble again. [Source: Rosstat; edited by Anatoly Karlin]. REALITY: From 1999-2007, only 37% of the increase in the crude birth rate was due to an increase in the size of the childbearing age segment of the population (only 10% in 2007 itself). 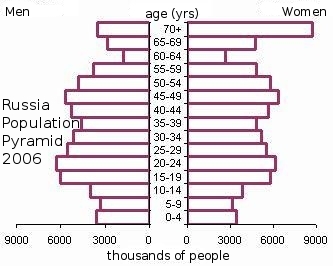 The rest came from an increase in the total fertility rate (TFR), the average number of children a woman can be expected to have over a lifetime, irrespective of the structure of the age pyramid. Speaking of which, Russia’s TFR has risen from a nadir of 1.16 children per women in 1999, to 1.49 children in 2008 (and thus also breaking the “lowest-low” fertility hypothesis that states that no society has ever recovered from a fertility collapse to below 1.30 children). The figures for 2009 will almost certainly show a TFR above 1.50. This is not to say that the coming reduction in the fertility contribution of the 1980’s “youth bulge” will not exert a growing downwards pressure on Russian birth rates in the next two decades. However, a growing TFR will be able to partially, or even fully, counteract these adverse trends. MYTH: The recent rise in fertility is small and fragile, based on the temporary effects of new maternity benefits and pro-natality propaganda. It will shatter as soon as the first economic crisis interrupts Russia’s petro-fueled swagger. REALITY: It is true that Russia’s current TFR, at 1.5 children per woman, is well below the 2.1 needed for long-term population stability. 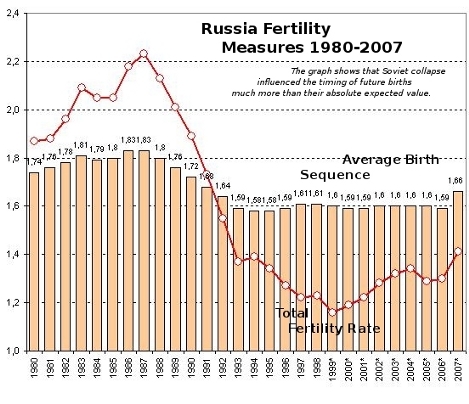 That said, there are compelling reasons to believe that we seeing an incipient fertility reversal in Russia. First, fertility expectations today are little different from those of the late Soviet era when the TFR was near replacement level. According to numerous surveys since the early 1990’s, Russians consistently say they want to have an average of 2.5 children. This is broadly similar to respondents from the British Isles, France and Scandinavia, who have relatively healthy TFR’s of around 1.7-2.1. This suggests Russia’s post-Soviet fertility collapse was caused by “transition shock” rather than a “values realignment” to middle-European norms, where people only want 1.7-1.8 children. [Source: Demoscope; edited by Anatoly Karlin]. In Russia the ABS remained steady at 1.6 children per woman from 1992-2006, little changed from the 1.8 of Soviet times, even though the TFR plummeted well below this number. This indicates that many women were postponing children until they settled into careers and improved their material wellbeing – a hypothesis attested to by the rising age of mothers at childbirth since 1993. As such, it is not unreasonable to expect a compensatory fertility boom in the 2010’s. Though this may be a false positive if many women remain childless, the 2002 Census indicated that only 6-7% of women did not have any children by the end of their reproductive years. This indicates that childlessness is not in vogue and worries about widespread abortion-induced sterility are overblown. Third, a new, confident conservatism has recently taken hold in Russian society. After two decades of disillusionment, at the end of 2006 consistently more Russians began to believe the nation was moving in a positive than in a negative direction. The state began to reconstruct an ideological basis for belief in Russia’s future, which included the aforementioned maternal benefits and pro-natality campaigns – and contrary to pessimist assertions, the examples of France and Sweden indicate that such efforts tend to be successful at incubating longterm improvements in TFR. Can it really be the case that the genesis of Russia’s rediscovery of belief in itself, and of consistent improvements in its demography, were a matter of mere coincidence? Fourth, the cohort now entering the workforce will probably enjoy greater job opportunities and higher wages because of the imminent shrinking of Russia’s labor force. This may provide incentives to marry earlier and have more children, which would compensate for this cohort’s smaller size. Nor are they likely to be subjected to taxes high enough to discourage family formation; relative to continental Europe, Russia is still a younger nation and can be expected to enjoy high energy revenues in the post-peak oil age. Finally, the economic crisis has come and gone – and in stark contrast to popular predictions of a renewed fertility collapse and higher deaths from alcoholism (which I challenged in the face of heavy opposition), Russia saw its first two months of natural population growth for the last 15 years in August and September 2009. So the notion that Russia’s demographic recovery is built on quicksand has been objectively refuted. MYTH: Russia’s main demographic problem is not the fertility rate, but a dismally low life expectancy, especially for middle-aged men. However, not all demographic indicators are created equal. High mortality rates only have a direct impact on the replacement-level TFR when significant numbers of women die before or during childbearing age, as in Third World countries. Russia’s infant mortality rate of 8.5 / 1000 in 2008 is close to developed-country levels and not statistically significant. Though tragic and unnecessary, its “hypermortality” crisis mainly affects older men and as such has negligible direct effects on fertility. That said, mortality rates must be curbed if Russia is to avoid significant population decline in the coming decades. Contrary to prevailing opinion, plans to raise life expectancy to 75 years by 2020 or 2025 are feasible if approached seriously. From 1970-1995 in Finnish Karelia, better healthcare and lifestyle reforms reduced incidences of heart disease, Russia’s main cause of death, by over 70%. Considering the sheer size of the gap between Russia and the advanced industrial world, even modest improvements will have a big impact. These modest improvements are now coming about. Russia is now installing new equipment in oncology centers, aims to increase access to hi-tech medical services from 25% to 80% by 2012, and is becoming more serious about implementing anti-smoking, anti-alcohol and safety measures. In 2008, Russia’s life expectancy, as well as deaths from accidents (including alcohol poisoning, violence, and suicide), have improved past the (pre-transition) levels of 1992 – and the recovery continues into 2009. MYTH: There is an unrivaled panoply of social ills in Russia, such as sky-high rates of abortion, alcoholism and accidents. These will induce Russians to disinvest in the future, which will result in low economic growth and a perpetuation of its death spiral into oblivion. REALITY: Quite apart from this being a “mystical” explanation for national decline, and hence unscientific, this assertion is not backed up by the historical record. All these social ills first manifested themselves in the USSR from around 1965 (accompanied by sky-rocketing male mortality rates), yet nonetheless, that did not preclude Russia from maintaining a near replacement level TFR until the Soviet Union’s dissolution – and ultimately, that is all that matters for maintaining longterm population stability. 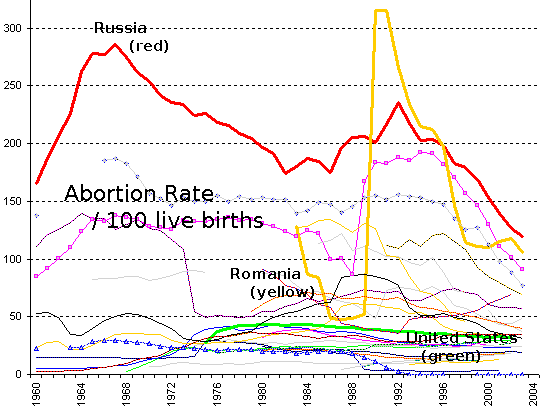 The Russian abortion rate was nearly twice as high during the Soviet period relative to today, but today’s prevalent fears of widespread infertility as a byproduct somehow never materialized – the 2002 Census indicated that only 6-7% of women did not have any children by the end of their reproductive years. Today, abortions continue on their longterm decline, even in the aftermath of the late-2008 economic crisis (and despite the hysterical predictions to the contrary). Similarly, excessive alcohol consumption – the major cause of “hypermortality” amongst middle-aged Russian men – set in long before the post-Soviet demographic collapse. 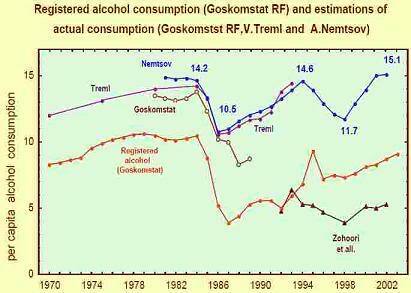 (Observe how closely Russia’s historical mortality trends correlate to Nemtsov’s estimates of alcohol consumption in the graph below). Yet as mentioned above, high middle-aged male mortality rates have no direct impact on fertility rates. Furthermore, since there is no major discrepancy between the numbers of men and women until the age of 40, women have no physical problem in finding mates (though it is true that high mortality and alcoholism amongst males has a suppressing effect on new couple formation, the late Soviet experience suggests that it does not altogether preclude a healthy TFR). [Source: Rosstat, V. Treml & A. Nemtsov; note that the official Goskomstat (Rosstat) figures ought to be discarded because they do not account for moonshine, which may constitute as much as half of Russia’s alcohol consumption]. The demographer Eberstadt asserts that Russia’s high mortality rates preclude human capital formation through education because men facing elevated mortality risks (supposedly) discount its future value; consequently, this dims the prospects for longterm economic growth. This hypothesis doesn’t stand up to the evidence. The late Soviet Union had one of the world’s highest tertiary enrollment rates, and more than 70% of today’s Russians get a higher education. This should not be surprising due to human psychological factors – “deaths from heart disease and accidents only happen to other people”; and besides, even if a Russian man assumes he’ll die in his 50’s or 60’s, he’d still rather live comfortably, avoid the military draft, etc, than sweep the streets. So this argument is flawed on many, many levels. It is true that poor health lowers economic productivity. However, one should note the caveats that 1) hypermortality disproportionately effects poorer, lower-educated people, 2) in the post-agrarian society, the main driver of productivity improvements is education – not health, and 3) there is a silver lining in that by curbing aging, a low life expectancy also relieves pressure on pensions. Finally, drunkenness by itself cannot check the growth of a vital civilization – after all, America was known as the Alcoholic Republic during the early 19th century. MYTH: The ruling elite’s criminal neglect of Russia’s growing AIDS crisis will soon result in hundreds of thousands of annual deaths, further accelerating its demographic collapse. REALITY: Institutions like the World Bank were predicting hundreds of thousands of deaths by 2010, yet the death toll for 2008 was only 12,800. 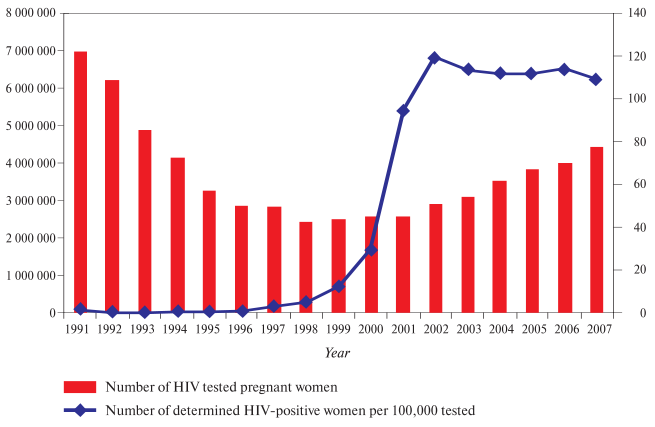 Further, the percentage of pregnant women testing HIV positive plateaued in 2002, suggesting the epidemic remains essentially contained among injecting drug users. [Source: 2008 Russian AIDS Progress Report]. The problem with the “doomer” models used to predict apocalypse (Eberstadt, NIC, Ruhl et al, etc) is that their projections of imminent mass deaths from AIDS unrealistically assume heterosexual, sub-Saharan Africa transmission patterns, which is unbacked by sociological analysis or surveillance data. A more rigorous model by the Knowledge for Action in HIV/AIDS in Russia research program predicts a peak HIV prevalence rate of under 1% of the total Russian population by around 2020. Thus far, it correlates with reality. Finally, following a period of real neglect of the problem until 2005, the Russian state has since ramped up spending on AIDS to an annual 0.5bn $. One can no longer speak of official negligence. MYTH: Faster-breeding Muslims will constitute the majority of the Russian Federation’s citizens by 2050, placing the dwindling Orthodox Russians under a brutal dhimmitude. REALITY: Ethnic Russians still make up nearly 80% of the population, whereas only 4-6% of the population consider themselves to be Muslim in opinion polls. The fertility rates of the biggest Muslim ethnicities, Tatars and Bashkirs, is little different from the national average. Even the Caucasian Muslim republics experienced a drastic fertility transition in the last twenty years, as a result of which the only one to still have an above-replacement level TFR is Chechnya. However, Chechnya’s 1.2mn people constitute less than 1% of the Russian total. So the fact of the matter is that Russian Muslims simply do not have the demographic base to become anywhere near the Federation’s majority ethnicity in the foreseeable future. Furthermore, the main reason some people fear – or relish – the prospect of an Islamic Russia is because they associate Russian Muslims with their less progressive co-religionists in the Middle East. In reality, vodka has long since dissolved away the Koran in Russia. The vast majority of Muslim Russians are loyal citizens, having made their peace with the imperial Russian state long ago; imminent dhimmitude is a myth, the product of fevered imaginations. MYTH: The Chinese are taking over the depopulating Russian Far East by a stealth demographic invasion; tempted by Siberian Lebensraum and vast mineral riches, they will eventually seize it outright from a weakening Russia. REALITY: There are no more than 0.4-0.5mn Chinese in Russia (and probably a good deal less). The vast majority of them are temporary workers and seasonal traders who have no long-term plans of settling in Russia. Even though the Russia Far East depopulated much faster than the rest of Russia after the Soviet collapse, at more than 6mn today, Russian citizens remain ethnically dominant. Furthermore, the average Manchurian has no objective desire to migrate to Siberia and squat illegally in a pre-industrial farm in a God-forsaken corner of the taiga. Alarmism on this issue is a trifecta of ignorance, Russophobia, and Sinophobia (the “Yellow Peril”). Though the possibility that Malthusian pressures will eventually force China into aggressive expansionism cannot be discounted, it would be suicidal to intrude on Russia because of its vast nuclear arsenal. MYTH: But all the demographic models indicate that Russia is going to depopulate rapidly! REALITY: Not all of them. I give an alternate range of scenarios that see Russia’s population change from today’s 142mn, to 139mn-154mn by 2025, and 119mn-168mn (medium – 157mn) souls by 2050. In the “Medium” scenario, life expectancy reaches 74 years by 2025 (today’s Poland) and 81 years in 2050 (today’s Canada); the TFR rises from 1.4 children per woman in 2006 to 2.0 by 2015, before gently descending to 1.7 from 2025 to 2050; and there is an annual influx of 300,000 net migrants. (These assumptions are plausible, based on a realistic knowledge of the current situation (see above), and a modest amount of confidence in Russia’s spiritual regeneration and capability to sustain economic modernization). The resulting population dynamics are reproduced below. [Source: Anatoly Karlin @ Da Russophile]. 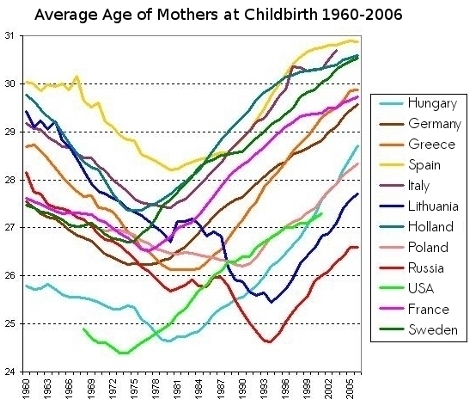 But even assuming Russia’s TFR gets stuck at 1.5 children per woman in 2010 – i.e. slightly lower than its level today, while retaining the aforementioned mortality and migration trajectories, the population size will remain basically stagnant, going from 142mn to 143mn by 2023 before slowly slipping down to 138mn by 2050. 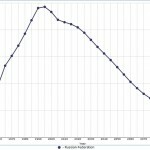 Russia’s population will start growing again by 2010. Natural population increase will resume by 2013. Total life expectancy will exceed 70 years by 2012. My results are somewhat similar to Rosstat forecasts which see the population growing to 134mn-145mn (medium – 140mn) by 2025. Furthermore, both of them are, at least thus far, more in line with reality than the older “doomer” models, which by and large failed to predict the recent demographic improvements. MYTH: Okay then, the vast majority of models by respectable institutions – i.e., not those of Kremlin mouthpieces like Rosstat or yourself – project that Russia’s population is going to plummet to 100mn or so people by 2050. REALITY: First, appeal to authority & association fallacy. Second, you can check the reliability of my model because my source code is open and accessible for all, which is more than you can say for many of these “respectable institutions” [edit 2012: No longer, because of this; but I am going to do a new version soon anyway]. Third, the problem with the aforementioned “doomer” models is that they are all essentially based on linearly extrapolating Russia’s post-Soviet fertility and mortality situation into the far future, assuming negligible improvements or even a deterioration (as in the models including the imminent, but fortunately non-existent, African-style AIDS epidemic). It is my belief that Russia’s demographic “doomers” ignore the importance of the post-Soviet resilience of Russia’s fertility expectations, the evidence that Russia’s post-Soviet demographic collapse was just an aberration caused by its wrenching transition to a new socio-political system, and the newly-emerging sociological trends that are returning Russia’s to its past-and-future Empire – trends that are restoring Russians’ faith in the future, reinforcing social conservatism, and creating the conditions, with the Kremlin’s active support, for a major demographic reversal out of the post-Soviet abyss. I would be the first to admit that this interpretation of Russian society may be incorrect, and consequently so are my “optimistic” demographic projections. Feel free to disagree with my interpretation, but do note that 1) I accurately called the economic crisis as a non-event in relation to Russia’s demography and 2) made falsifiable, near-term predictions about Russia’s future demography, which few other crystal-ball gazers care to do. Speaking of crystal balls, I would like to end this by noting that pretty much all demographic projections beyond 20 years into the future – the approximate time needed for a new cohort to reach reproductive age – are near-useless in practical terms. 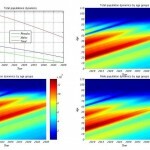 Any simplistic extrapolation will eventually founder on the discontinuities inevitably produced by complex human systems: for a past example, compare 20th century French and German demographic history; regarding the future, note the profoundly disruptive potential of two strong concurrent trends – limits to growth, and technological singularity – either of which could so radically transform human life in the 21st century, as to render modern demographic analysis meaningless as a scientific tool. Demoscope (Ru) – Russian-language biweekly on Russian and global demographic trends. 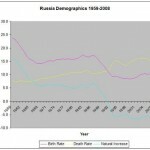 Rosstat – official Russian demographic stats, including Rosstat demographic projections to 2030. Human Mortality Database – stats on historical mortality indicators. Russia Facing Demographic Challenges – a comprehensive 188-page UN report. 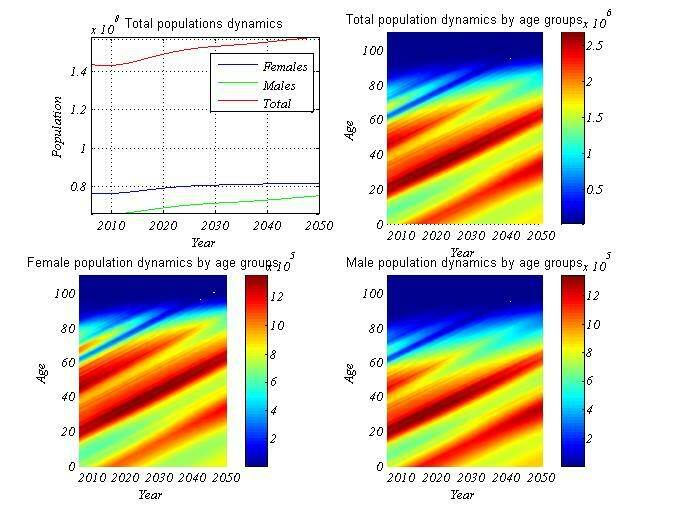 Faces of the Future – Anatoly Karlin’s demographic projections to 2050. Through the Looking Glass at Russia’s Demography – Anatoly Karlin’s concise “optimistic” essay. 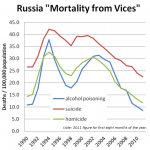 Drunken Nation: Russia’s Depopulation Bomb – standard “pessimistic” essay by Nick Eberstadt. The death of Mother Russia – Mark Steyn’s inane “doomer” scribblings. Finally, a list of articles on Russian demography published at Da Russophile. The Russian Cross Reversed? 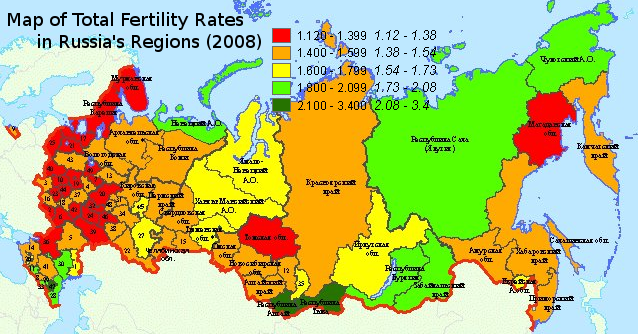 – initial thoughts on Russia’s fertility. Out of the Death Spiral – an indepth look at its mortality crisis and prospects for improvement. Faces of the Future – my model of Russia’s demographic prospects to 2050, which I argue are not anywhere near as dire as commonly portrayed by the alarmists. This is because the “pessimistic” models that forecast a decline to around 100mn by that date make questionable assumptions about continuing low fertility and high mortality patterns. Myth of Russian AIDS Apocalypse – prognoses of an AIDS mortality crisis are unwarranted because they rely on unsubstantiated assumptions that the epidemic would be essentially heterosexual in nature and follow trends observed in sub-Saharan Africa. Myth of the Yellow Peril – demolishes the myth that Chinese settlers are taking over the Russian Far East. Rite of Spring: Russia Fertility Trends – most comprehensive versions of my demographic work to date, in which I argue Russia’s population will slowly increase or stagnate in the coming decades instead of plummeting as in most scenarios. “Counter-intuitive and deeply contextualizing” – Thomas P.M. Barnett. Russia’s Demographic Resilience – I predict the economic crisis will not have a major effect on Russian demography, especially in the longer term. Through the Looking Glass at Russia’s Demography – in this summary ofRite of Spring, I note that Russian fertility expectations, average birth sequence figures and rising social confidence preclude a catastrophic fall in population over the next decades. Russia’s Demographic Resilience II – this guest post by Sergei Slobodyan notes that contrary to the doomsayers, Russia’s demography continued improving in 2009 despite the economic crisis, with the population experiencing its first natural growth in August for the past 15 years. Russia’s “Abortion Apocalypse”: А был ли мальчик? – a second guest post by Sergei Slobodyan unravels the media hysteria over a (non-existent) wave of crisis-induced abortions.